Wild Wednesday … Praying Mantis! Wildlife at the drive up window. The praying mantis city dweller. He was praying for a bite of my tacos! This entry was posted in photography, Wildlife and tagged insect, nature, photography, praying mantis, wildlife by foresterartist. Bookmark the permalink. They do, don’t they. Everything about them is so stylized. It’s like insect art! 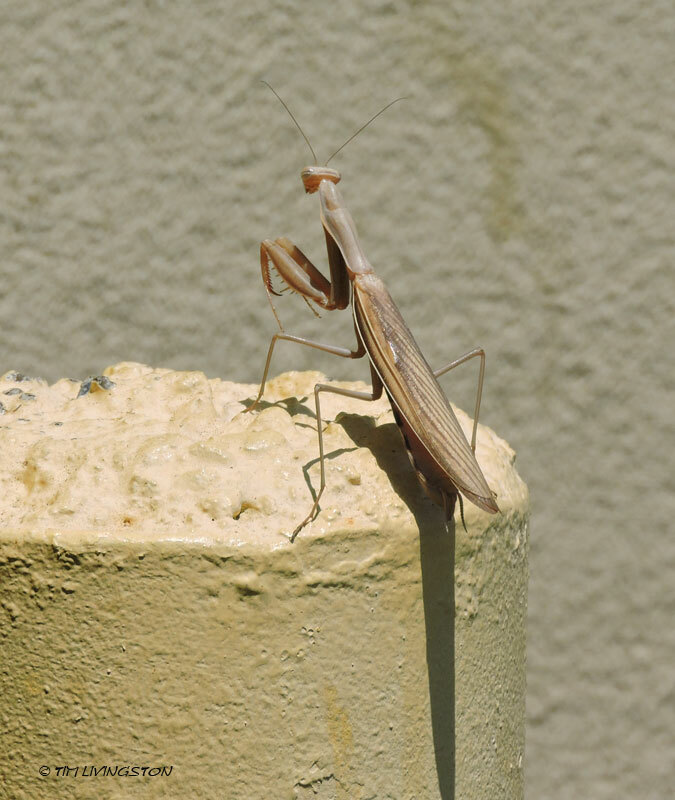 This brought back memories…One year, a praying mantis took up temporary residence on the outside wall of my portable classroom (hut) for several days. There may be no formal prayer in school, but this insect had us covered. You know we’ve got to take those prayers where ever we can get them. Great shot. They show up in my garden once in awhile. Thank you! I think this one was in need of a garden. They are so fascinating! Nice close-up photo! Thank you Teresa! As a kid I always thought they were cool. Still do. It looks pretty big to me. I remember capturing one when I was growing up. We fed it (her?) a cricket and you could actually hear the crunch of eating. I see them a few times a year around here, big and small and I always leave them alone now, except to take the occasional photo.